Celebrate the return of spring by joining Discover Easton at an April Signature Event. Friday, April 5 is the return of First Weekend in downtown Easton. As the name suggests, First Weekend is held on the first weekend of every month from April to December. Local businesses invite the public to experience the arts and to explore new shopping and dining experiences. Local merchants are excited to showcase our Eastern Shore hospitality this spring. Look for in-store specials, extended hours, new art exhibits, new fashion, menu specials, and more. 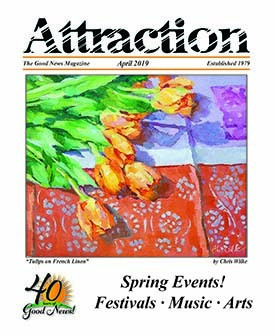 A full list of activities can be found online at www.discovereaston.com/first-weekend. Eat Sprout and Discover Easton team up for Farmers Appreciation Day. 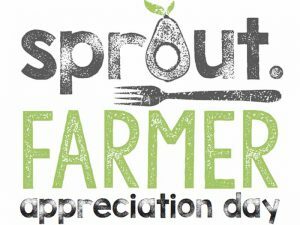 This new Signature Event is hosted at Eat Sprout, located at 335 North Aurora Street in Easton, on Saturday, April 13 from noon to 4 p.m. A dozen Mid-Shore farm representatives will come to town so locals can meet the growers behind their favorite food at Easton restaurants and local markets. Eat Sprout’s kitchen will be open for tours and demos. Learn how to use new ingredients at home and find out what’s growing, what to grow at home, and what there is to look forward to as the spring farmers’ market season kicks-off. Celebrate Easter weekend in downtown Easton at the annual Easter Egg Hunt on Saturday, April 20. Over 5,000 eggs will be spread out on the Talbot County Courthouse grounds. Children can enjoy free face painting and an appearance by the Easter Bunny. The anticipated start times are 10 a.m.: Infant to age 4 and 10:15 a.m.: ages 5 to 10. For more information regarding Discover Easton and its events, visit www.discovereaston.com. Stay connected with them on Facebook, Twitter and Instagram @discovereaston. Discover Easton is a marketing, promotion and events non-profit organization operating as a member of the Mid-Shore Community Foundation. The mission of Discover Easton is to enhance, promote and preserve the vitality of Easton’s independent merchants, which benefit business owners, residents and visitors; and to bring awareness to the town’s historical roots and lifestyles.